1 Why Knee Pads Are Essential for Work – The Function of Your Knees. 1.1.1 The Knee Pad Review To End All Knee Pad Reviews. 1.1.5 Here are some tips for selecting Knee Pads for work. Why Knee Pads Are Essential for Work – The Function of Your Knees. Does your job involve a lot of time on your knees? Chances are you do not realize the stress you put on your knees. This article will open your eyes into how fragile your knees really are and detail why knee pads are essential for work. This article is aimed to help bring awareness to your knee health and to show you how essential knee pads are for work. This is a continuation of my story I began in my Top 10 Knee Pads For Work Review where I outline how my review came to be. If you have not read it then you can either click the link above if you would like context to this story. I will try to make this story standalone while adding more to what already has been shared. 4 A.M – Somewhere in Southern Georgia. I am slipping in and out of consciousness as my swollen knee continues to swell and get increasingly painful. The pain in my knee is so severe I do not feel my teeth bite into my knuckles as I try to bear the pain. My singlet is wet from the blood flowing down my arm and dripping onto it, at some point I had bitten down hard enough for my fist to start bleeding so freely. I am barely coherent enough to realize and so I continue biting down. It’s only when we pull up to the bright lights of the hospital that Jane realizes what I have been doing and nearly faints from all the blood. That and the site of my knee. Jane is my wife and savior in this sorry tale of idiocy and without her, my story would have ended with a knee replacement. Within moments of pulling up to the E.R the night staff is swarming around my Ram pickup trying to lift me out of it. Jane informed me later I fainted after they tried bending my knees slightly to get it out of the door. Despite my massively swollen knee and my leg locked into place, they manage to lift me out of the car and onto a gurney. What happens after that I can only say what my wife told me as I was out the whole entire time. According to Jane they wheel me into an examining room and start interviewing her about what caused my explosive knee swelling. “He was working intensively on his knees, on cold floors, without knee pads. He was warned by his doctor that he needs to wear them and I pleaded with him over and over but obviously he didn’t listen. The doctors continued to ask some questions and eventually wheel me into surgery. I get put under while they work on my knee, trying to bring down the swelling while another doctor fixes up my fist. My fist turns the best with only two stitches and some bruising. My knee, however, requires a lot of work including cartilage removal, incisions, stitches and of course removal of the swelling. I wake up the following afternoon to see my knee and fist covered in bandages and more confused than I ever felt in my life. It was exactly like you see in the movies how you recall a second or two before your brain fast forwards to another memory and then another. The struggled panic to get into the car with Jane half dragging me, all the way through until I pass out when they try to remove me from the car. It was all my fault I wound up like this, with my stubborn refusal to use knee pads and ignoring the warning signs of my knees giving out. Now that my ability to provide a living for my family was on the line the gravity of the situation hit home and I felt worse mentally than my injured knee. I get discharged a couple days later with one goal in mind and a hefty hospital bill as additional motivation to my new mindset. Lying in hospital with my knee suspended and level with my eyeline made it impossible to think about anything other than how I messed up and how I can make a change. Make a positive change before I do more damage to the point I will need two knee replacements. I’m only 42, I can still (and will have to) work for 20 more years and without prior training in anything except tiling my options are limited. The truth of the matter is I will need to continue tiling and the only way I will be able to maintain the pace I work at now will be with both my natural knees. I have heard of many guys getting replacements but most were in their 60’s, they were beginning to wind it down and had some sort of exit strategy to maintain so sort of cash flow. Jane and I can’t keep afloat on her pay alone and there’s still a few years of the mortgage left to pay on our home. Whatever way I looked at it, I had no other option but to maintain what good I had and go back to work. Thankfully Jane had forgiven me by the time I was leaving the hospital and she only added motivation to my plan. To completely alter my reliance on my knees and my body on the whole, of somehow keeping it together without additional help or care. Truth is in my trade, abusing the body is just part of the job but that dosen’t mean you don’t do anything about it. It goes for all physical trades, from carpet laying to roofing, general contracting to concrete laying. Any one of you that kneels for extensive periods at a time will need to take great care of your knees and listen to any warning signs it’s telling you. The second part of my plan was to share awareness of knee problems and one part of that was my massive knee pad review. The Knee Pad Review To End All Knee Pad Reviews. This idea came to us after we spent a week off and on researching for the best knee pads for work online. After a week of constant reading and browsing, we were equally disappointed and honestly a bit disgusted at what we found. As vast as the internet is, with millions upon millions of web pages available, there wasn’t a concrete answer to our question. What few review sites we found contained a jumble of sales speak directly written from the sales copy the manufacturer provided with their knee pads. In comparison reviews, we constantly found the winning knee pad, the one that was supposedly the most supportive, most reliable and durable for extensive knee work to be the one that had the most sales on Amazon. Totally ignored by the review authors were the reports of how terrible the knee pads were, about how they failed to protect the knees, how uncomfortable they were for extended periods of time, and how they slid off the knee during any movement. All that counted was that it was a big brand name and that it sold due to other’s being misinformed into thinking they were purchasing the right knee pads for work. One of the knee pads that kept winning was a set of DeWalt Knee Pads with gel inserts. Over and over again I would see it as the winning pair of knee pads with no real evidence to back up why they actually won. I believe it was all a matter of brand image winning over actual quality or design. DeWalt is a huge multinational brand that made it’s name famous with their high quality and popular power tools, so when they began producing hand tools and later on safety gear, of course people we hyped to try out their products. When I first saw their range of hand tools and safety equipment I was excited as I thought there’s another company providing high-quality tools and equipment along the lines of their power tools. Others obviously thought so too as the DeWalt Knee Pads with gel inserts shot to all-time high sales figures and becoming one of the most purchased pairs of Knee Pads on Amazon. Everyone from homeowners using them for ten minutes at a time to professional tiler layers and concrete workers to gardeners were snapping the things up like they were the knee pad nirvana. On face value they were great. With most customer reviews being from casual users saying these were “the most comfortable knee pads ever”. It was fair to assume you were purchasing a great pair of knee pads for work. It’s when you dig a bit deeper into those customer reviews, from the guys and gals who actually work on their knees for a living, that’s when you discover these knee pads are anything but comfortable or amazing. The professionals were complaining about poor build quality, with the knee pads coming apart after a few days of proper work. The gel inserts in essence deflating (I experienced this myself with my pair) and not providing any long-term knee protection. The knee pads sliding off the knees during movement and requiring constant readjustment. All these things were omitted and glossed over in the reviews Jane and I read online. This angered us as these reviews were everything short of an actual review, a review isn’t regurgitating the product description and saying it’s the best simply on sales numbers. Nothing is perfect and there’s always going to be a compromise somewhere. So when we click on a website announcing it’s doing a review on knee pads we expect to find that. After finding one too many sites that didn’t understand the term “review” we decided to conduct our own review and make it the biggest and most comprehensive knee pad review on the internet. It turned out to be over 5 times the size of any other we found and covered as much ground as it could in terms of the best knee pads for work. 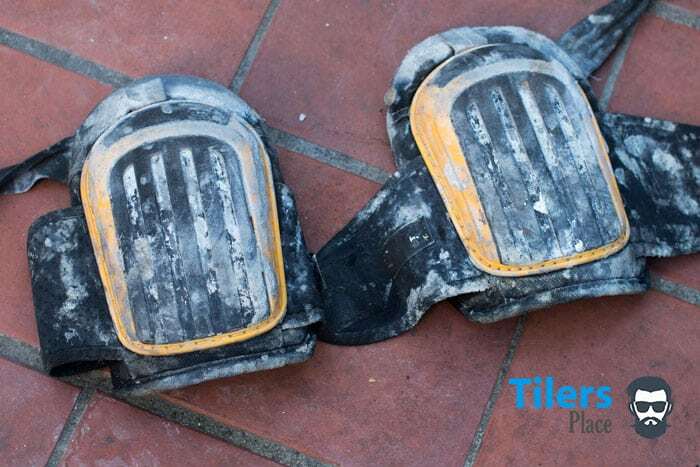 Since tilers are no way the only trade using knee pads we interviewed fellow tradesmen in other trades and tried to recommend each pair of knee pads for each trade. Where a roofer will require a soft knee pad that won’t slide off a roof a concrete layer will need a hard shell knee pad to get protected from rough stone and the surfaces he will kneel on. 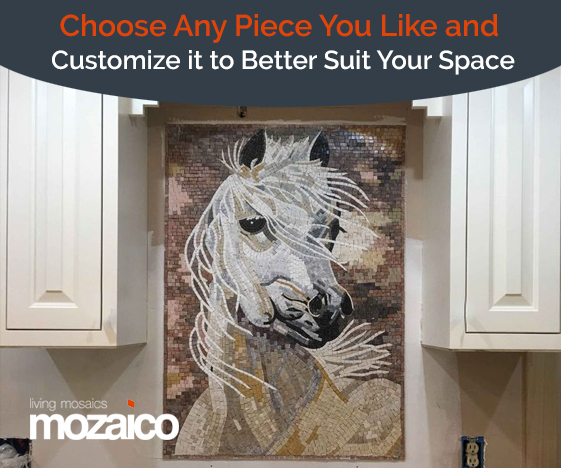 A plastic shelled knee pad can scratch a finished wooden floor so we noted this in the review and did not recommend them for people working with polished floors. It’s things like this, real-world experience and tips that we wanted to provide our readers with so you made the right decision when purchasing your knee pads. Go to the review and read what I wrote about them, it definitely wasn’t a single sentence and it definitely wasn’t so positive. I honestly found the DeWalt knee pads extremely disappointing and uncomfortable for a full day of working on my knees. Not only that but they were not built to withstand the professional’s life. Something I think anyone would expect from a company marketing themselves as providing tools for professionals. This wasn’t a pair of Black and Decker knee pads whose predominant market is for DIY-ers and handymen who do a little bit of everything. The DeWalt Knee Pads were just an example of the incomplete or misleading information online and why we set out to provide a dichotomy from all that. The review is only a month old but already it has helped countless people choose a right pair of knee pads for work and as it ages it will only continue to grow and help others. I fully intend to update the review as newer knee pads come out and to continue helping anyone looking for a new pair. Obviously, knee pads were not the only thing we found misinformation about and if you explore the website you will find reviews on tile saws, and all sorts of tiling accessories like steam mops for cleaning tiles. 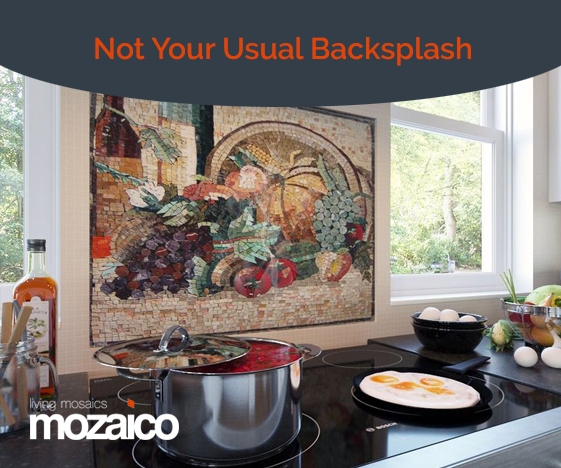 Not to mention the grout removal encyclopaedia – The biggest database on grout removal on the internet. Over time we hope to raise the awareness of knee health and the importance of listening to any warning signs of impending problems that can be arising. If you continue reading I will explain the function of your knee and your knee pads are essential for work. In your day to day life, you might not pay much attention to your knees. You walk, they allow your legs to bend and you get to where you want to go. It’s only when your knees begin to hurt and make themselves known do you remember them and start to pay them attention. And pay attention you definitely should, if your pain does not go away after a few days it could be time to take it easy and monitor your knee health. Your simple old knees are actually the most complex and biggest joint in your body. They are the junction point, the intersection of your major leg bones that along with a combination of ligaments and muscles allow us to move your legs and move. The knee joins your thigh bone (femur) to your shin bone (tibia) and the smaller bone that runs along your shin bone, the fibula. The thigh bone is the single largest bone in your body and the shin bone is the second. That alone should make you reconsider the heavy duty job your knees perform every day. The last bone that makes up your bone soup is the Patella, commonly known as the kneecap. These bones are granted mobility thanks to the Tibiofemoral joint, which connects the thigh bone to your shin bone and the Patellofemoral joint which joins the kneecap to the thigh bone. This system of joints creates a flexible joint which allows your knees to bend and straighten and bend slightly from side to side. Add in the shock absorbers located between both of the two major bones called the articular cartilage and we can begin to understand the knee. The articular cartilage is what enables your bones to press up against each other when straightening your legs without creating excruciating pain. Without that cartilage, we would be rendered immobile. I’m not going to give you a whole lecture on the complexities of your knees, I just wanted to make you think about them and think how easily that complex system can go wrong. If you want to read more about your knees you can visit WebMD at their website. Did you know when you walk your knees support about 1.5 times your body weight? How about when walking up stairs, they support around 3-4 times your body weight. Squatting is even worse at 8 times your body weight. Your knees are tough little units huh, kinda like the ants of the human body world. They’re a wonder of nature. Of course, you know that the human body is far from perfect. Think back to the last time you had an accident where you damaged your body. You learn skin is extremely easy to damage with things like fire and sharp objects. My body has more than it’s fair share of scars from both those things. If you played sports you will know how easy it is to twist an ankle or dislocate a joint. Your knees are also not the greatest designed system. As well as they work they are plagued with page after page of problems that can render you as good as wheelchair bound if you aren’t careful. Look down at your knees now and give your knee cap a tap. Not a lot of padding there is there? It’s literally a thin layer of skin and then it’s bone. That bone is not padded my friend, it’s not like that comfy seat you have built into your back side that you are now undoubtedly sitting on. Your knees are great for mobility and supporting your weight but they are not designed for supporting your weight when their pressed down against a solid surface. You don’t have any of that delicious articular cartilage placed over the kneecap. So when you get down on your knees against a hard surface like concrete or stone, your knees are feeling it. They are feeling the hundreds of pounds of pressure pressing their face against the cold hard surface and in time they will begin to protest. Whether that protest comes in the form of minor discomfort for a few hours or doing what mine did and pulling a massive tantrum and puffing up like a balloon, it all depends on how much abuse they have suffered. And when that brown stuff hits the proverbial fan, we quickly regret not taking care of them sooner. I will not go into major detail about all the problems your knees could have as the list is simply too extensive. I will however touch on a few problems you might face from extensive damage to your knee, possibly caused by work or not using knee pads. One of the factors that contributed to my knee swelling up, locking and causing the extreme pain was the articular cartilage tearing and locking my Tibia and Femur together. Articular cartilage tearing is a very common injury if you work extensively on your knees and workers from all trades and industries can be affected by this. Tearing cartilage can be caused by twisting or moving your body while kneeling. For instance, you are reaching around you while laying tiles on the floor, the movement of your knee shifting sideways or twisting your kneecap can eventually cause the articular cartilage to tear. 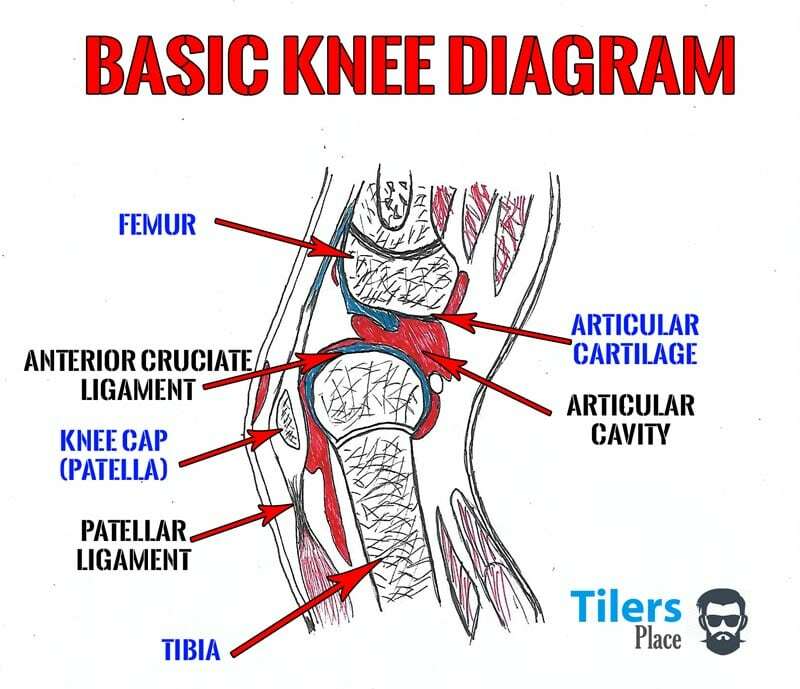 The tear can then get in the way of your two major bones (the Femur and Tibia) thus creating pain or locking your knee up altogether. I suffered from an extreme form of this including heavy swelling brought on by the Synovial Membrane producing excessive amounts of fluid due to my knee trauma. The Synovial Membrane is a producer of an oily substance called synovial fluid that helps lubricate the joints. You may also wear away your articular cartilage to the point where you will be no longer be able to move due to the pain. As you remember this cartilage is the foam padding that enables your Femur and Tibia to lock against each other and grant you mobility. Without that cartilage protecting and absorbing the impacts of this extreme pressure you will have bone grinding against bone. Yes, it sounds as painful as it is. This is my future if I do not protect my knees properly. With no articular cartilage shielding my knee I will need a knee replacement in order to be able to move again. A tiler without mobility or the ability to kneel is as good as a plane without wings. Here’s A Question A Doctor Will Ask You If You Suspect You Have Knee Damage. A doctor will ask you; can you go downstairs without pain, or does the pain only show up when you walk downstairs? If you only feel pain in your knees while descending stairs this will likely be articular cartilage damage and you might knee surgery to snip off the teared strands. Now remember I am by no means a doctor nor do I have any training in medicine. I am simply an average Joe like yourself so do not take anything I say as fact or gospel, if you are unsure about anything or are suffering from pain SEE YOUR DOCTOR! I am merely sharing my experience to raise awareness of knee pain and knee health. If you want to know about other knee problems you can check out this video by Dr.Nabil Ebraheim. Now we are coming up to the final part of my story and the culmination of everything we have learned so far. Why are knee pads essential for work? You know understand how the knee works and common problems that can arise from abusing it. When we are involved in a trade that requires extensive kneeling it is imperative to wear proper knee pads to work every day. Not only will the knee pads provide a cushion from the harsh surface we are kneeling on for long periods of time it will also protect the knee from the cold surface. As you remember your knees are not protected by much, just a thin layer of skin and muscle before your kneecap is touching the surface. Cold temperatures can easily seep into your bone causing discomfort and even lead to you suffering from a cold or worse. Another hazard your knee pads will protect you from is rough surfaces like gravel or rough cement. With a couple inches of foam or gel core between your knees and the surface, you will be well protected from any of those things reaching your knees. Some trades will lead you to kneel on ledges or surfaces that only partially support your knee. Kneeling across a 2x4 or on a step for example. When you are kneeling like this, all your body weight is pressing on one specific part of your knee. This is one of the worst possible things to do to your knee as now you are concentrating all that pressure to one tiny area of your knee. If you find yourself working in these situations, knee pads with a tough outer shell are your ideal choice. The thick plastic casing will equalize the pressure across your whole entire knee while the thick foam padding inside of it will continue to cushion your knee. In my best knee pads for work review, I found the Toughbuilt TB-KP 3 Knee Pads to be perfect for such situations. They provide the highest amount of protection against uneven or rough surfaces while the padding inside absorbs any impact. Not only that but they also provide thigh support with the top hinged area locking around your thigh. This is ideal to prevent your knees twisting and causing damage to the nerves running either side of the bone. I use these knee pads when I got a tough day ahead of me or laying mud as their high sides prevent any water or mortar entering inside the padding. Nothing I hate more than kneeling on sloshy wet knee pads. I recommend you checking them out if any of these factors ring a bell for you, I found the lowest price on them on Amazon. If you are wondering why I so rarely wore knee pads to work and caused all these problems it’s because I hated wearing knee pads. I could never find a pair that was comfortable or a pair of knee pads that didn’t slide off my knees. Also some knee pads had elastic bands that sat directly in the joint of skin between my thigh and calf muscle. On warmer days that area of skin would begin to get extremely irritated to the point I couldn’t concentrate on work. This would force me to rip them off and kneel on my bare knees as I simply couldn’t stand the pain anymore. With time and many failed knee pads, I began to resent the very idea of wearing knee pads to work and wore them very sparingly. Despite my doctor warning me of the damage I was doing to them and my wife Jane politely but insistently reminding me to put some on. She even purchased a pair for me last Christmas, trying to touch my deep sentimentalism with receiving gifts from a loved one. She thought that the act of giving me a pair will tug at my heartstrings and since I am soft for such things I would force myself to wear them. It did work for a while and I managed to wear them every time I needed knee protection. When summer rolled around and the temperatures began to sore my resolve weakened as the old problems began to surface. And like a stubborn old donkey, I started not wearing them again. Here are some tips for selecting Knee Pads for work. I cover a lot of these things in my best knee pads for work review however here is a quick tip guide to help you select your next pair of knee pads. • Think about the outer shell. This is important as you will want the right outer casing for the surface you will be kneeling on. Roof layers and anyone working on roofs will want a pair of knee pads that don’t have a slippery plastic finish. All the plastic coated knee pads I have seen are slippery making work in high places with smooth finishes dangerous. You want to look for knee pads with either a rubberized finish that will grip or better yet a soft cased knee pad like the Heritage Leather knee pads that are made from leather. Any soft capped knee pad will conform to the surface your kneeling on and should provide you with plenty of grip. In saying that if you are a concrete layer or landscaper, working in the mud or gravel you want a nice thick plastic shell to protect you from stones and the wet. A soft capped knee pad will not do in that scenario. Knee pads like the aformentioned Toughbuilt Knee Pads will be ideal for this situation. Another factor to remember with the outer shell is will it scratch the surface you are working on? This is especially the case for wood floor layers and tilers working with natural stone. The last thing you want is for your knee pads to scratch the varnish or seal off the surface you have been working on tirelessly. Find a pair of knee pads that won’t scratch the surface, try to avoid any hard plastic knee pads and best go for ones with a soft outer finish. When selecting your knee pads take a close look at how the straps are positioned on the knee pad. If they are set to close together chances are they will bunch up behind the knee causing extreme skin irritation. This will be especially the case if you are wearing shorts. Knee pads with thick bands that cover a lot of surface area behind the knee help avoid this issue and these are the ones I usually go for. Also, commonplace these days are knee pads with buckles instead of the old-fashioned Velcro fastening straps. Buckles go all the way around your knee and clip into place on the other side of the knee pad. I found this system to provide great support due to being able to adjust the tightness of the band while the buckle holds it all in place firmly. Buckles are also less perceptible to getting ruined from concrete and mortar splashes like Velcro straps are. If you want more tips on selecting your next pair of knee pads for work then check out my review here. My stubborn refusal to wear knee pads to work eventually caught up with me. With excessive trauma to my knee, it responded with damaged articular cartilage and extreme pain. This episode helped shake me from my stupidity and helped raise my awareness of knee health and in-kind inspired me to teach you about it as well. Hopefully, this article taught you about how knee, how fragile it is under pressure and what can lead to knee problems down the line if you avoid wearing knee pads. Remember that all this information does not just apply to tradespeople. If you do a lot of gardening around the home then finding a good pair of knee pads for gardening is highly recommended as in time you can suffer from knee problems as well. My wife Jane has taken this on board and I often see her in knee pads around the house whether she is cleaning the floors or gardening. So at the end of the day, just remember, not all knee pads are uncomfortable or make working in them a living hell. Find the right pair of knee pads for you using my in-depth review aimed exactly for anyone in your situation and start using them! We only get one pair of knees per round of this game so we have to take care of them. If you have someone in your family that suffers from knee pain or is always complaining about their knee pads then show them this article and my review. Better yet, surprise them with a new pair of knee pads as a gift. Chances are they won’t be stubborn as this old goat and they’ll wear them. Please give this article a share on your social networks to help raise awareness and drop me a comment below! Now that you know you need some knee pads for work; these articles will help you choose your next pair. This article really opened my eyes and made me realize I might be heading in the same direction as you! Great piece of writing here buddy, I appreciate you writing it. After I finish this I’m gonna order some knee pads from Amazon and make sure to use em! Red your awesome article, freaked the hell out and got me three pairs of knee pads from amazon all in one sitting XD you won’t catch me working without knee pads ever again! No sir!